Hello People, today we search Members for: Okay, so, who are you? Other Life Studios is a group of (currently) five people with their own Youtube Channel and Skype Chat. We are making Animations, from Random Animations (Like the SkywarsAnimation) to a Big Project, "Another Lifeform" . Channel Link: https://www.youtube.com/channel/UCNW-wtkSNtIYisrm_3XeWTA The Video there is old, and not really good. Thats also why we need more members. Why do you need more Members? Because, it is hard to start a Series with five people, and none of them are Voice Actors. Also, with more people, there is less work for Everyone. What members do you currently have? We have: - A Project leader/Story writer/Script Writer/Animator/Artist -One Texture maker -Two Animators, one of them is also a Rigger - One Particle Creator What is with this "Another Lifeform" project? The Series, "Another Lifeform" is a (Edit: Medival) Series about the Three Races of the "Creai" and Spiders. 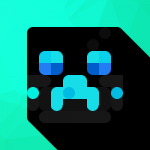 The Creai are based on the Texture look of Creepers, they have their Language that I (The Project leader) am currently making. Every Episode is planned to be around 10 minutes long. Thats why we need more Members too. We already have 16 Sites big Script for the first Episode. "Another Lifeform" is also the Priority in the Team. And Random Animations? With that, we mean Animations that are made between the Episodes, because it could take long to only write the Script. Examples: -Minigame Animations -Little Animations with their Story And so on. What do you need? We need: -Animators -Riggers/Skin creators -Image Editor -Sound creator/Editor (Not completly needed but it would be good to have one) We prefer people who can do multiple of these things (good). Or people who are very good at one thing. Also needed is Creativity and a bit of discipline. You should be able to Answer once a day, or once two days. How do I enter? Write a little Text with: -Your name -Youtube Channel (If you don´t have one, don´t ignore)# -Skype name (Skype is needed, you can PM me the name if you want) -What you want to do - Something that shows how good your at it (Picture, Video etc.) -Country (Europe is prefered due to Time zone Problems) -Why do you want to Join -What do you think your strengths and weaknesses are. -How often you can be Active -Other things you want to tell us. Please try not coping the key points. What Happens if I´m chosen? If you are picked, you will get a Skype Friend Request from me and you´ll be added to the chat, you also then get Information for "Another Lifeform". Write under this post or PM me if you want to join. Greetings Other Life Studios Edit: No OffTopic Posts here. Hey guys! I just messed around a bit with David's Noteblock Studio and came up with Timber by Pitbull! Download the MIDI File here! Download the NBS Files here! Please leave a rating and what song I should do next! volume is very low. be careful. this music is made of a MIDI file. but in Note Blocks Studio and with other sounds. Better Rendering and time settings.